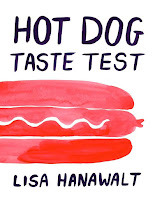 I think I was won over by Lisa Hanawalt's Hot Dog Taste Test. At first I just wasn't getting it. It was clearly and intentionally quirky but I did what I always do when I'm faced with such a style and don't understand it: I blamed the writer. She was being self-indulgent. Weird for the sake of weird. Etc. As if the problem could not possibly have been me. 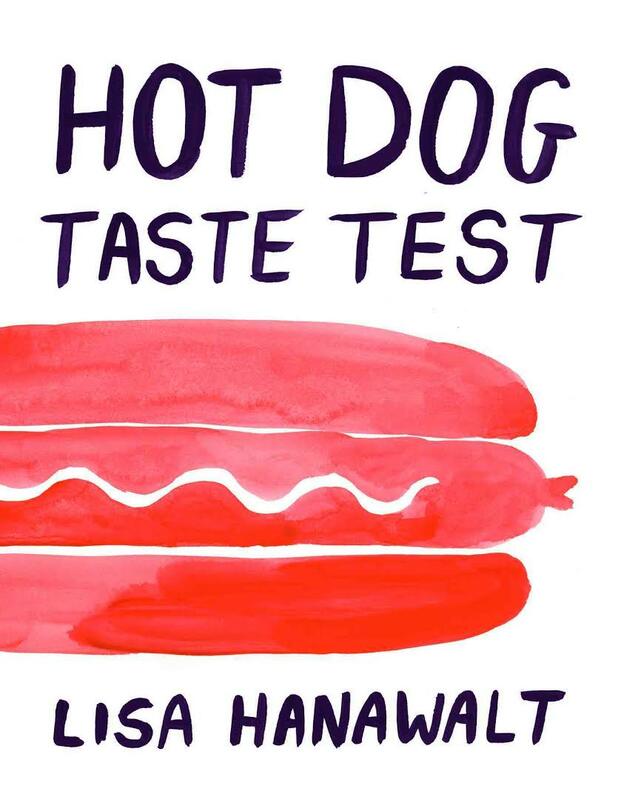 Hot Dog Taste Test is a collection of art, comics, observations and graphic memoir essays, many of which revolve around food. And despite my earlier hang-ups I was enjoying it by the end. There's one image in particular that still makes me giggle just thinking about it: a cartoon showing what an intruder would actually see if they should walk in on Lisa Hanawalt in the bathroom contrasted with what Hanawalt imagines they would see. Did the humour change becoming more accessible by the end? Possibly; it is an eclectic bag so maybe the more idiosyncratic stuff was balanced more heavily at the front end. Then, there's also just a chance that Hanawalt's unique outlook just started rubbing off.